Just like their human counterparts, dogs can suffer from various types of allergies. And while some dogs end up being allergic to pollen, dust or dander, many others experience allergic reactions to ingredients in their food. These food allergies can trigger a number of unpleasant symptoms, so you’ll want to do everything you can to address the issue. Fortunately, it’s pretty easy to treat food allergies in dogs. 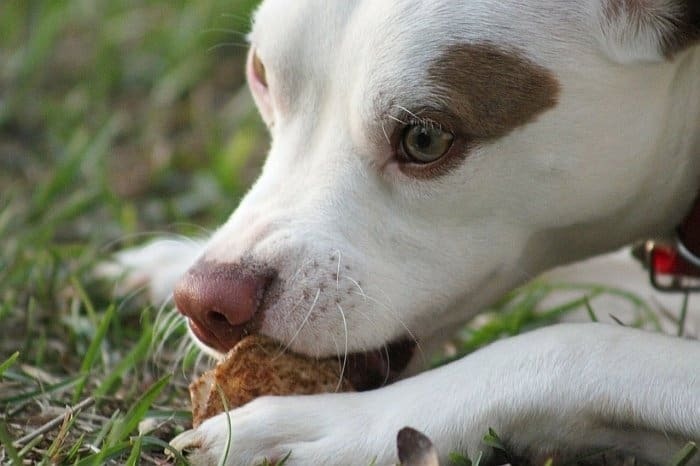 Below, we’ll discuss the nature of food allergies in dogs, list some of the most common triggers and explain the symptoms that indicate a food allergy may be at play. Food allergies in dogs occur in similar fashion to most other types of allergic reactions. They begin when your dog is exposed to a substance – most commonly a protein – that the body doesn’t recognize. In fact, the body not only fails to recognize the substance, but it mistakes it for a threat. This is an important point, as allergies typically occur in response to otherwise harmless substances. But, instead of ignoring this harmless substance – called an allergen, or colloquially, a “trigger” — the immune system initiates an immune response. This involves the release of chemicals called antibodies. Antibodies cause the body’s cells to do a number of things, but one of the most important is to trigger the release of histamines. Histamines cause the blood vessels to dilate, thereby allowing more blood to reach the afflicted area. This is why allergic reactions often involve symptoms like redness and swelling. Additionally, this histamine release often causes the itchiness associated with allergies. 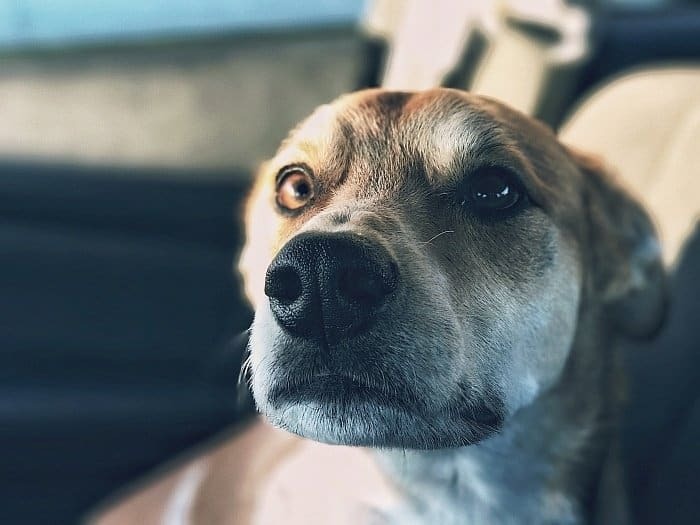 The symptoms of food allergies in dogs can vary from one dog to the next, and different allergic triggers can even elicit different symptoms in the same dog. However, the most common symptom dogs with food allergies exhibit is itchy, red or inflamed skin. 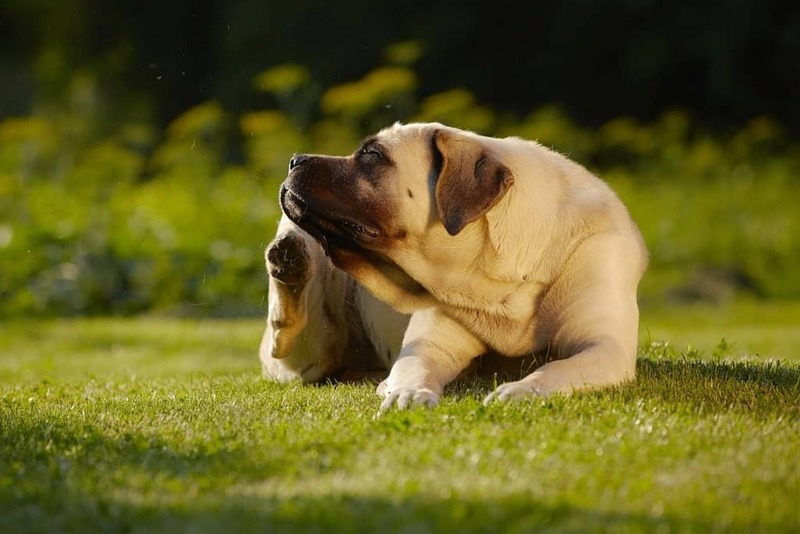 Itchy skin can occur anywhere on a dog’s body, but it typically occurs in a few common places, including the rump, tail, lower abdomen (inside the crease of the rear legs) and between the toes. It is important to distinguish between food allergies, which involve an immune response, and food intolerances, which do not. Food intolerances essentially occur when a dog’s digestive system doesn’t handle a given food well. This often occurs in response to foods that are high in fat, sugar or fiber. Also, some dogs simply have sensitive stomachs, which become upset easily. But, while food allergies can occasionally cause gastrointestinal symptoms, they are rather rare. 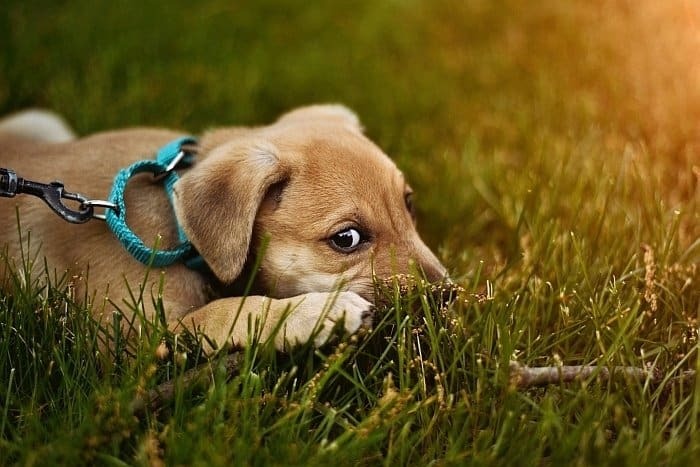 This means that your dog is probably not allergic to a food or ingredient that makes him have to poop more frequently; he is probably just intolerant of it. You’ll still need to find an alternative food, but you needn’t worry about an actual allergy. 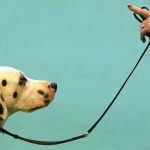 Are Some Dog Breeds More Susceptible to Food Allergies than Others? Dogs can develop allergies to almost any substance, but most allergic triggers are proteins. 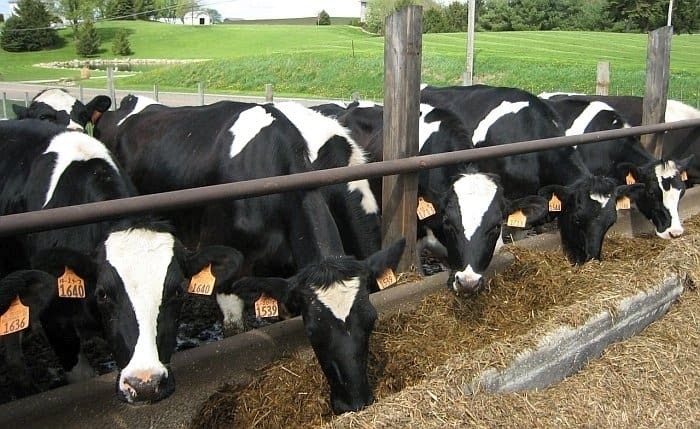 Additionally, while some dogs become allergic to things like corn, wheat or other grains, most allergies develop in response to animal-derived proteins. If you suspect your dog has a food allergy, you’ll want to make an appointment with your vet and have your pet evaluated. 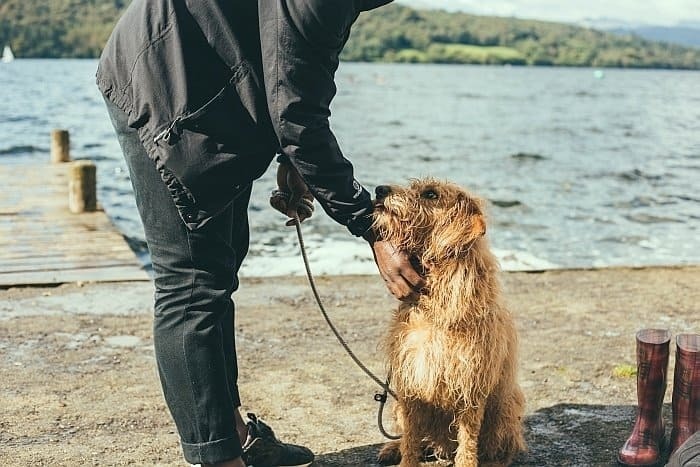 Food allergies can be very difficult to diagnose, so vets will generally start by trying to rule out other possible causes of itchy skin or chronic ear problems. Fleas cause minor itchiness, but some dogs become allergic to proteins in the saliva of fleas. This causes them to suffer from extreme itchiness, redness and hair loss. 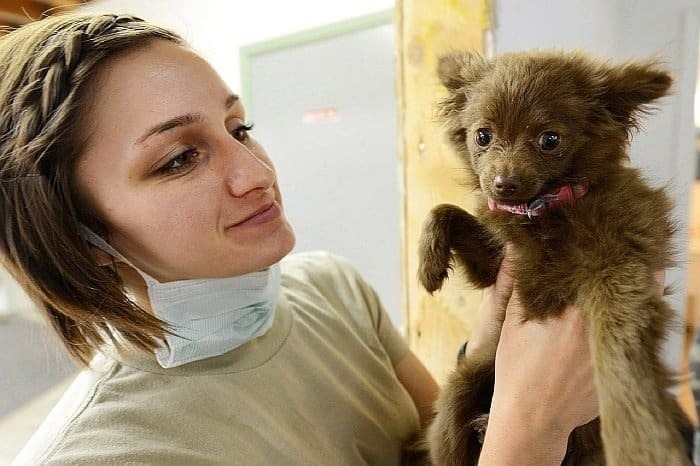 Fortunately, flea allergy dermatitis can be eliminated by eradicating the fleas. This is usually easy to accomplish through the use of a preventative flea treatment. Yeast infections occur when dogs suffer from an overgrowth of fungal organisms. This can occur in many different anatomical areas, but the ears and paws are both commonly afflicted sites. Yeast infections often produce a musty, cheesy odor which can make them easier to identify and treat. Atopic allergies occur in response to some environmental factor. The allergic triggers in such cases are usually things like pollen, dust, dander or smoke. These allergies are often seasonal in nature (particularly if they are the result of pollen), and they’ll resolve on their own after the allergen is eliminated. If your vet is able to rule out these problems, he or she will likely begin to consider food allergies. And while there are sensitivity tests which claim to be able to detect food allergies, some vets are skeptical that they work properly. 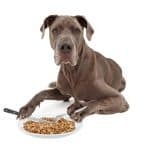 Accordingly, the best way to determine if your dog is suffering from a food allergy is by implementing a special dietary protocol, called an elimination-challenge diet. An elimination-challenge diet consists of two parts. The first part – elimination – requires you to switch your dog to a diet consisting of very few ingredients which are unlikely to trigger an allergic reaction. Such diets often consist of a low-risk carbohydrate, such as sweet potatoes, and a novel protein, to which your dog has never been exposed. Duck, rabbit, lamb and kangaroo are some of the most common choices. 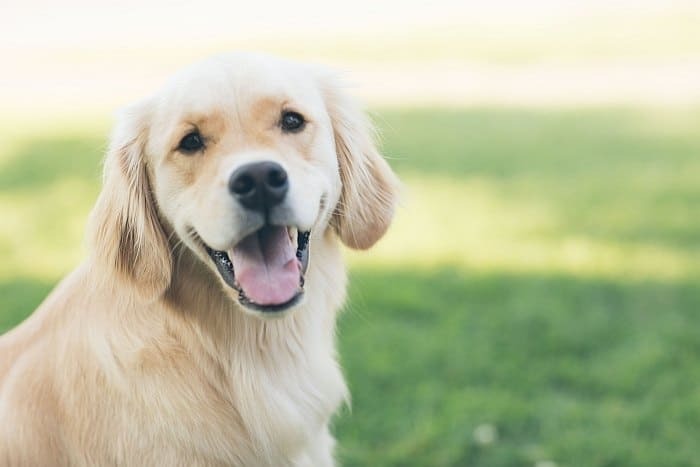 During the elimination portion of the process, which may last for several months, you cannot give your dog anything else. This includes other foods, treats, supplements or people food. Hopefully, by doing so, your dog’s symptoms will wane. Next, you’ll move on to the challenge portion of the process. During this time, you’ll add ingredients back to your dog’s diet. You must do so very deliberately and be sure that you are only adding back one ingredient at a time. If your dog’s symptoms do not return after several weeks, this new ingredient can be ruled out as the allergen and considered safe. This process will continue, with one new ingredient being added back to your dog’s diet every few weeks. Hopefully, you’ll eventually notice that your dog’s symptoms return. This will demonstrate that the last ingredient you added back to the diet is the trigger. From this point forward, you can simply avoid this ingredient to keep your dog symptom free. Note that many dogs are allergic to more than one food item. This means that you may need to use the elimination-challenge diet for an extended period of time to identify all of your pet’s triggers. 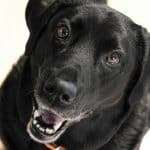 Having completed an elimination-challenge diet and identified your dog’s allergic trigger, you can start trying to resume a normal feeding protocol. However, you’ll need to make sure that you select a food that does not contain the substance to which your dog is allergic. This isn’t terribly difficult to do if your dog is allergic to something that isn’t commonly included in most dog foods. If, for example, your dog is allergic to beef or corn, you can easily find foods that don’t contain these items. 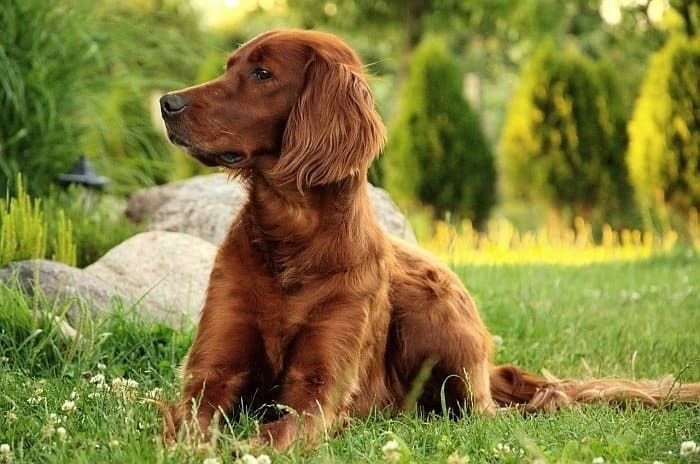 However, it can be more difficult to accomplish if your dog ends up being allergic to something commonly included in many dog foods, such as brown rice, potatoes or carrots. But, a few manufacturers make “hypoallergenic” dog foods, which are made without the most common allergic triggers. 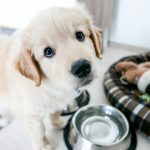 These foods are often more expensive than non-hypoallergenic options but given their ability to help your dog live a healthy, happy life, most owners are happy to pay the additional cost. 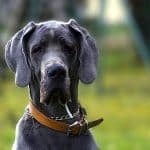 Have you ever battled food allergies in dogs? Were you able to determine your dog’s allergic trigger? We’d love to hear about your experiences. Tell us all about them in the comments below.